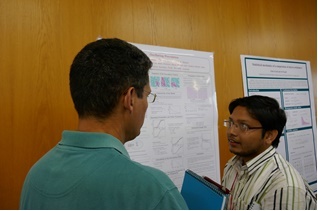 "Development of low cost portable machine for the evaluation of quality of tea : brain storming meeting on 2nd September, 2017 at the Centre"
Mr. Sumanta Kundu, SRF of the Centre presented poster on the topic 'Oscillating Percolation' in the conference "Fundamental Problems in Statistical Physics XIV" at Bruneck, Italy. 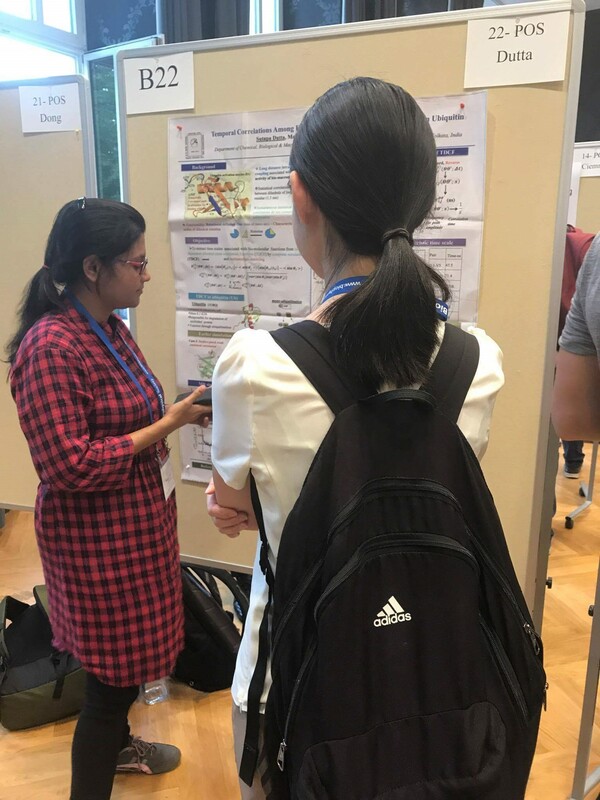 Sutapa Dutta, SRF of the Centre presented poster in the conference "Conformational Ensembles from Experimental Data and Computer Simulations" in Berlin, Germany on the topic 'Temporal correlations among functionally important distant residues of ubiquitin'. The S.N. 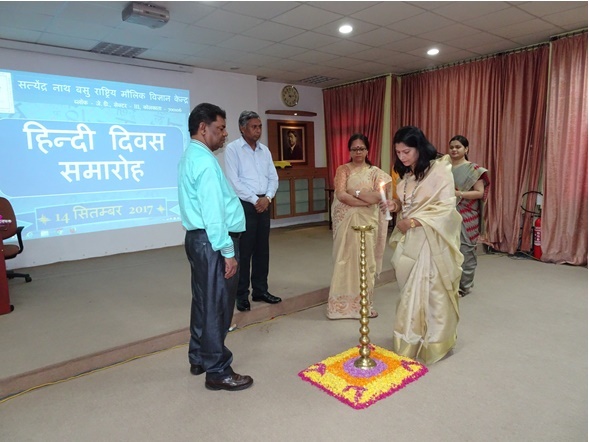 Bose Centre has taken up many activities / events as per the "Swachhta Action Plan" during 15th September to 2nd October, 2017 viz.- Mass Pledge of all employees of the Centre, Swachhta Awareness Programmes through a drama of short duration, Poster presentation and circulation on the theme "Zero Plastic Green Campus", Mass Cleaning of surroundings including removal of weeds /shrubs /herbs /unwanted plants etc., Cleaning of rooms/ halls/ toilets/window panes, Removal of cobwebs, Broken glasses etc. Some glimpses of the event are presented herewith. 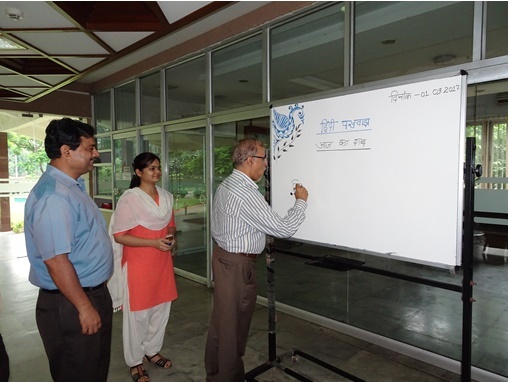 Director and staff of the Centre have taken oath on "Swachhta Hi Seva" at 3.00 PM on 25th September, 2017.